Water cooling a GTX 1660 ti ??? 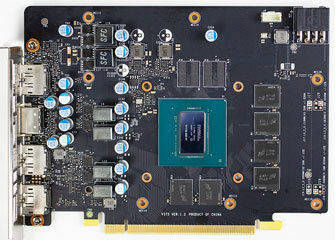 Why do you want to watercool a midrange card that can't even be used in SLI? I don't care about what range it is. I just like to keep my cards cool. I don't see a reason why you should water cool this card, but to each their own. You can probably jerry-rig a water block from a similar PCB layout, but I wouldn't recommend it as you can often run into issues where certain pieces are just a little bit different, but you can't tell until you have bought the product. The easiest way to water cool this card would be something like this that is supposed to be universal to the GPU, but can only be used with NZXT AIO's. You could also just grab an AIO and fit it to the card well enough and then slap a fan onto the VRM, VRAM, and other smaller parts to keep them cool. if you want simple water cooling, then you can probably use the Kraken G12 braket and an AIO.